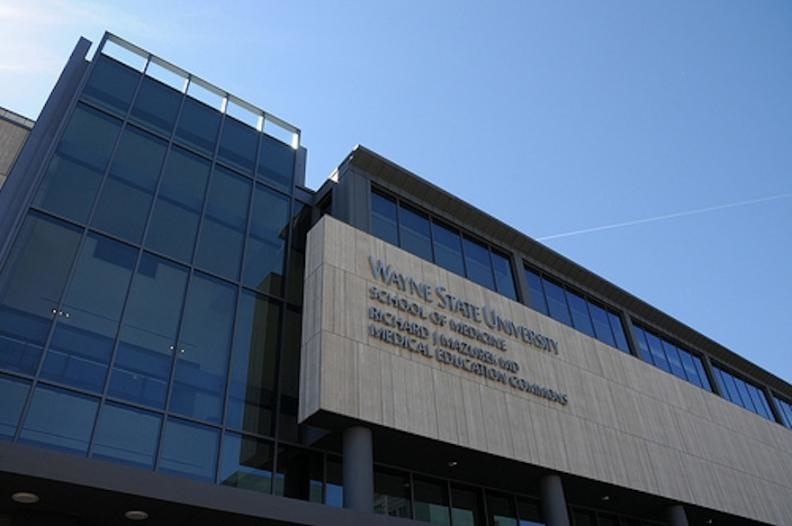 The not-for-profit University Physician Group, the Wayne State University School of Medicine's faculty practice, has filed for Chapter 11 bankruptcy reorganization and is seeking to get out of leases in suburban locations to concentrate on downtown Detroit. The medical practice, which employs 873 people, says in court documents filed Wednesday and Thursday in U.S. Bankruptcy Court in Detroit that it plans to continue operating, move its corporate administrative functions to Midtown Detroit and focus on being the "premier academic clinical practice" for the Detroit Medical Center. "This is not a liquidation or a closure — quite the opposite. UPG will remain in operation and focused on delivering outstanding clinical care while supporting the academic mission of the WSU School of Medicine," UPG CEO Charles Shanley, M.D., said in a message to Wayne State employees. The filing comes several weeks after UPG reached a deal to continue its relationship with DMC, which is owned by the for-profit Tenet Healthcare Inc. (NYSE: THC). The relationship among the practice group, the hospital system, and the university's medical school has been fraught for years. The filing says that over the past decade UPG's number of physicians has declined by 50 percent, which has hurt clinical revenue and made its leased network of suburban offices untenable. It plans to use Chapter 11 to suspend operations at all suburban sites, it says in court documents. The filing seeks bankruptcy court approval to reject the leases the practice no longer can support. It also seeks permission to pay employees' salaries, of which it says, "Rumors of a potential bankruptcy filing have put UPG's employees on edge, and there is substantial concern about the retention of employees following the announcement of the filing of this case." Wayne State School of Medicine Dean Jack Sobel, M.D., said in a message to employees: "School of Medicine students and residents should know that this is unrelated to the mission of the school and that this decision will not affect their education or residencies." When asked for comment, a spokesman for Wayne State University referred a reporter to Sobel's message to the university community. Wayne State's school of medicine has been in negotiations with Henry Ford Health System on a broader relationship. Spokespeople for both Wayne State and Henry Ford said they do not expect the bankruptcy filing to have any impact on those negotiations. The bankruptcy petition indicated assets and liabilities both between $10 million and $50 million. The filing said funds are expected to be available to pay unsecured creditors, which number between 200 and 999. Most of the largest creditors listed in bankruptcy documents are owners of real estate that UPG is leasing. The largest creditor listed is Chicago-based Troy Medical Properties, which is owed $27.4 million under a commercial lease. Wayne State University is also listed as one of the largest creditors, with $5.6 million owed for reimbursement and parking, and $723,000 for rent. 4160 John R, Suite 925 and 930, Detroit. 5479 Schaefer, Dearborn. It is owned by Dearborn Schaeffer Office Co. LLC, which is owed $1.86 million, according to court filings. Dearborn Town Center, Suite 165/260, Dearborn. 1135 and 1136 W. University, Rochester. It is owned by Walton Crittenton MOB LLC, which is owed $5.7 million, according to court filings. UPG says it and its physicians have affiliations with Barbara Ann Karmanos Cancer Institute, Beaumont Hospitals, Crittenton Hospital Medical Center, Henry Ford Health System, Oakwood Healthcare Inc., St. John Providence Health System and St. Joseph Mercy Oakland. "Wayne State University Physician Group files for Chapter 11 bankruptcy reorganization" originally appeared in Crain's Detroit Business.